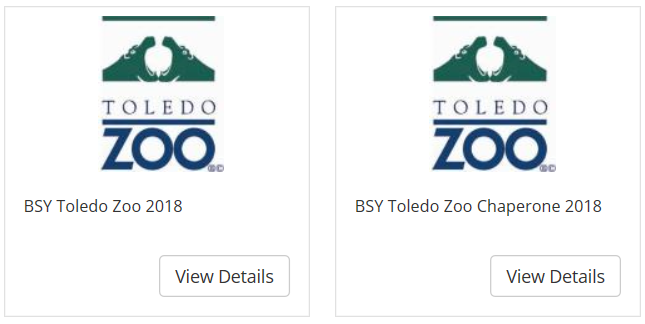 The BSY Toledo Zoo field trip tickets for grades 3, 4, & 5 are now live and online with MySchoolBucks.com. Tickets for students are $4 and available today through October 1 @ 11:59 pm. Tickets for chaperones are $14; chaperone tickets are available today through October 1, 2018 at 12 NOON.